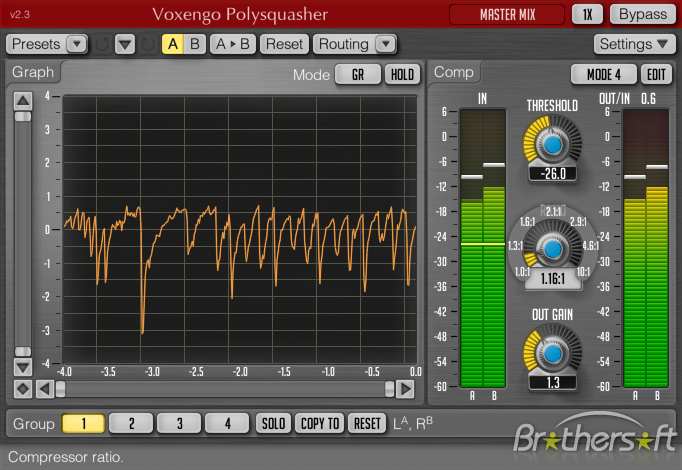 Polysquasher, Software compressor from Voxengo. 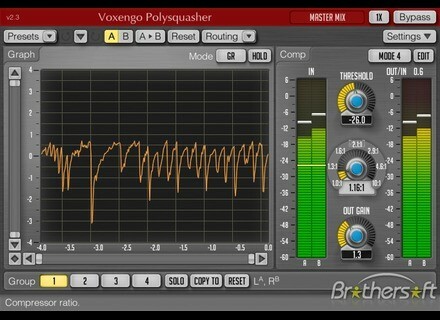 Voxengo Polysquasher is a mastering compressor plug-in for professional audio and sound production applications, available in AudioUnit and VST plug-in formats, for Mac OS X and Windows computers. Ratio can now be entered without the trailing ":1". Loudness bursts on some parameter changes resolved. Graphics view position readout added. Graphics view "hold" function implemented. Input/output graph colors changed for more contrast. Zooming scrollers were added to the graphics view. Crashes on Mac OS X related to Wave/GR graph switching resolved. Demo version of Voxengo Polysquasher and other pro audio plug-ins can be downloaded at the Voxengo web site at www.voxengo.com. Detunized releases Rodox - 73 This time the Detunized crew picked up a dusty Rhodes Mark 1 they found in a desolated rear building near Dresden/Germany, they say. Iliadis iBX Tonewheel Organ Iliadis has announced the release of iBX, a single manual virtual Tonewheel Organ that Iliadis says has a "rich and authentic sound very close to the good-old-days Electromagnetic Organs". Alterex ViSYNTH Alterex has released ViSYNTH, a free monophonic synthesizer VST instrument plug-in for Windows based on Synth Lite by MFB (but is not intended as a software clone).